More on sports, power, and control | Jacqueline Ryan Vickery, Ph.D. In an earlier post I discussed some of the tensions between the NCAA, Social Media, and Fandom. There has been a lot happening recently in the world of sports with regards to social media so I thought I’d give some updates and pose some new questions. What strikes me as significant are the changing relationships between athletes/coaches and fans, but also how these relationships are being policed and are subject to surveillance and restrictions from both leagues (NFL, NCAA, SEC, etc.) as well as traditional media (ESPN, FSN, etc). I’m curious what exactly is at stake for traditional media/leagues if they resist fans’ use of social media (by regulating it, banning it, etc.) versus embracing fans’ use (encouraging it, creating spaces for it, etc). For example, the SEC was initially making attempts at regulating fans’ use of media during games. As you can imagine there was a lot of backlash to such a policy. Not only is it an extreme policy, it is also an incredibly unenforceable one. Can you imagine not being allowed to text during a football game? As much fun as it is to attend a live game, one of the ultimate frustrations is the lack of updates from other games going on simultaneously across the country. I know that I text more on Saturdays than every other day of the week combined. Part of the fun and camaraderie of being a sports fan is sharing enthusiasm about a game, anxiety about the score, anger at a call, with your fellow sports fans who are not physically present with you during the game. After revision the SEC loosened the restrictions placed on fans and the ways they could distribute their own media. Interestingly such a statement is strikingly similar to Creative Commons licenses which allow the creator/author/copyright holder to share content for personal use but can choose to prohibit others from commercial/business use. This policy is much more reasonable and protects the commercial aspects of the SEC and CBS without threatening fans’ rights to communicate during a game and document their experiences via cameras, videos, etc. The initial knee-jerk reaction by the SEC though is indicative of the leagues’ and networks’ realization that traditional gate-keeping mechanisms are being challenged, threatened, and to a certain degree deemed unnecessary. As fans gain a louder voice with the means to distribute information they become in a sense journalists themselves. However, there still exists a need for press conferences, injury reports, highlights, talking heads etc. within the sports world. Rather than resisting fans’ particiatpion in this, the leagues and networks ought to embrace fans’ contributiions and create spaces for fan media. In this evolving media environment fans are not the only entity gaining a louder voice independent of media, but rather athletes themselves have greater power to manufacture their own image while bypassing traditional journalists. Unfortunately this is landing many of them in a heap of trouble. 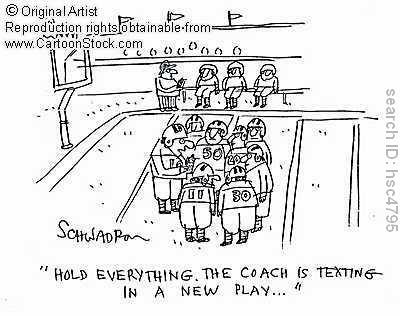 There are obvious reasons why policies are needed which restrict athletes’ communication. For example, tweeting from the locker room at halftime is just downright dumb and gives your opponent an obvious advantage while creating the impression that players aren’t taking the game seriously. However, what about athletes who want to tweet and communicate with fans on their own free time? Should there be restrictions placed on what they can say? A Chargers player was fined for complaining (half-jokingly) about camp food via a Tweet. Should the freedom to criticize your team or league be prohibited? To what extent should players be granted a voice and freedom to speak and at what point does it become a liability to the league, team, image, etc.? A recent NYT article discussed the various ways Twitter has become a threat to the NFL and the ways in which the league is attempting to regulate it. There are also countless examples of ways athletes are using social media to construct their own image, self-promote, tell another side of a story, etc. 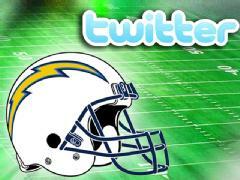 Some of have speculated that NFL players’ use of social media could save Michael Vick’s image. And then there’s Barry Bonds who used his blog to bypass the press to tell his own story of the steroids scandal. And Shaq who regularly updates his Twitter with quirky observations as a way to connect with fans. The list goes on and on and the more I think about it the more questions I have. I’m still in the beginning stages of parsing this all out (with the help of Craig Watkins). I’m curious what is at stake for a) fans, b) coaches, c) players, d) traditional media, and e) sports leagues in the changing media landscape and evolving fan-coach-player dynamics? Obviously all of the aforementinoed entities exist within a symbiotic relationship, and there seems to be an issue of power and control as fans/athletes gain a louder voice. Who will benefit, who will suffer, what are short/long term consequences of giving players/fans a voice and what are the consequences of embracing/resisting the use of social media?